A full overview of the 18 most frequently named African origins can be seen in the remaining part of this blogpost in which i will attempt to provide more details and context about Louisiana’s African diversity. By no means is the data featured in this blogpost presented as 100% representative of the ancestral make up of the present day population of Louisiana! Only largescale DNA research might perhaps one day provide more solid clues in that direction (see upcoming blogpost on AncestryDNA results for Louisianians). As always when it comes to sample based overviews you will have to take into consideration how representative the data might possibly be and also from which context they are drawn (timeperiod, type of documentation, parishes being covered etc.etc.). Fortunately most scholars will agree that the Louisiana Slave Database is one of the biggest and most extensive of its kind, especially for the USA! Despite a high share of locally born “creole” slaves with unknown ethnic origins and also slaves who were just labeled as being “African”. Overall its ethnic coverage of 30% compares very favourably with the slave ethnicity data from the West Indies and Cape Verde which i blogged about earlier (follow this link for an overview), only the Trinidad Slave Register of 1813 being more detailed and larger in samplesize. Even when many of the 217 (!) ethnic names being used to identify the slaves are very specific, some of the more frequently appearing ethnic names can have wideranging regional interpretations aside from pinpointing only any particular and unique ethnicity. These interpretations of the socalled nations or country names have been hotly debated at times by historians, incl. Gwendolyn Midlo Hall herself. All the same the information being conveyed by these ethnonyms is very valuable in itself already. See also “Ethnic identities of African-born slaves: valid or imposed?“. Everyone has a unique family tree and what’s described for Louisiana as a whole might not necessarily apply in individual cases. The complex colonial history of Louisiana, featuring periods of French, Spanish and American rule, has contributed to a possibly greater degree of African diversity than found anywhere else in the USA. Each timeperiod was characterized by its own distinct ethnic/regional pattern of slave imports. When tracing your personal African roots it’s therefore crucial to find out when your ancestors arrived in Louisiana and via which route: Trans Atlantic Slave Trade (directly from Africa), Inter Colonial Slave Trade (via the West Indies) or the Domestic Slave Trade (via mainly Virginia or South Carolina). In many cases it will be a combination of course and your family might be very deeply rooted within Louisiana (1700’s) along some lines while other family members arrived relatively later (1800’s). As can be read in the above quotations and especially by looking at the chart featuring the 18 most frequent ethno-labels, the African diversity in Louisiana looks quite astonishing! It’s possible that this impression is created partially because French and Spanish colonizers paid closer attention to the ethnic background of their African slaves. As blogged about earlier the ethnic references for Africans in South Carolina and Virginia are markedly fewer. See also: Ethnic Origins of South Carolina Runaway Slaves. However it’s probably Louisiana’s complex colonial history itself, which explains it’s wider array of African ethnic origins. With enslaved labourers being supplied by both French, Spanish, English (contraband) and American (domestic/interstate) slave traders – usually via the West Indies and the Thirteen Colonies but ultimately hailing from Africa’s Atlantic coast and even Mozambique – it’s no wonder that a richly flavoured gumbo of African ethnicity developed within Louisiana. Aside from direct slave imports from Africa or the West Indies Louisiana received many enslaved labourers via ultimately Virginia and South Carolina. It might therefore be assumed that Louisiana’s own African diversity both reflects and includes the diversity found in those two biggest entry points for Africans into the USA. But on top of that Louisiana also has its own distinct features because of its connections with the French speaking Caribbean and the slave trade carried on during the French period. Therefore the overview above taken from the Trans Atlantic Slave Trade database doesn’t tell the whole story for Louisiana (shown as “Gulf Coast”). For Virginia and South Carolina the breakdown can be considered to be quite representative because they had much less indirect slave trade and their slave voyages were better documented. For Louisiana however it’s only in combination with the Louisiana Slave Database that we get a better understanding of the full range of its African origins. One major discrepancy between both databases is the numerous mentioning of the Kanga and Kissi, ethnic groups from Sierra Leone and Liberia in the Louisiana Slave Database. While going just by documented Trans Atlantic slave voyages you would have expected to see none! Both Sierra Leone & Wind Ward Coast being shown with 0% in the overview. In fact the proportions of the other embarkation regions will also be up for review if ALL African and also Afrodescended arrivals by whichever route into Louisiana are taken into consideration. It’s likely that the averages shown in the column to the far right might more closely resemble Lousiana’s approximate African ancestral breakdown. 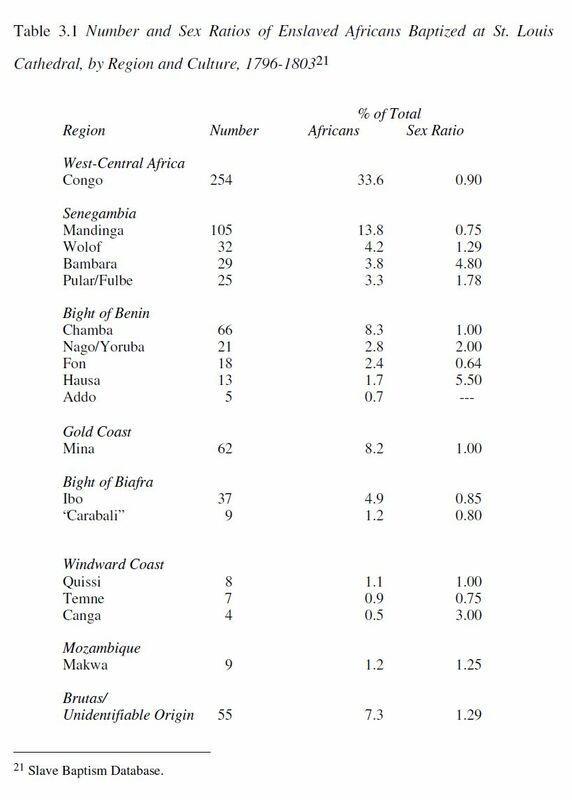 As mentioned by Hall (2005) many transshipped Africans were clustered in related ethnic groups and may have been culturally or even ancestrally predominant during specific timeperiods or within selected places/parishes. In this section i will discuss some of the 18 ethnicities being mentioned. Especially the ones which stand out because, as far as i know, they are rarely or not all mentioned anywhere else in the USA. For an excellent indepth study however it’s highly recommended to read Hall’s book itself: Slavery and African Ethnicities in the Americas: Restoring the Links (Hall, 2005). This is the term used by Hall (2005) to refer to the Upper Guinea region (for maps see this link). Unlike most other slave trade historians she combines the Senegambia area with Sierra Leone and even the Windward Coast and regards it as one single embarkation region. There are indeed valid reasons to do so, as many socalled Mandingo’s and also Fula were exported from slave ports located in both northern Senegambia and more to the south from Guinea Conakry/Sierra Leone. Personally i however prefer the term Upper Guinea as i find it less confusing. Despite many commonalities Senegambia proper being a subregion to be distinguished from Guiné Bissau + Casamance and also Guinea Conakry+ (northern) Sierra Leone for both cultural and geographical/ecological reasons. In an upcoming blogpost i will discuss the Senegambian (sensu stricto) origins of Louisiana in greater detail. For now it can already be noted that the variety of distinct ethnic groups from Upper Guinea is bigger than any of the other regions, plus the total number is only second to Central Africa. This seems to correspond well enough with known slave trade patterns when also intercolonial voyages via the West Indies are taken into account. Just highlighting now two groups being mentioned: the Kanga and the Nar/Moors. Both rarely or not at all being reported elsewhere in the USA as far as i know. Which doesn’t per se mean they weren’t present though. In the West Indian Slave Registers especially the Canga are frequently mentioned. Kanga, also spelled Canga or Ganga, is a reference to people hailing from the border area between Sierra Leone and Liberia. Various ethnic groups might be hiding under this term though. In Cuba they were given 12 separate nación sub-groups, incl. possibly the Vai, and the Gola people (see the Liberated Africans website). But also infact the Kissi from Sierra Leone/Liberia who were mentioned 86 times in the Louisiana database, were sometimes in Cuba indentified as “Ganga Kisi”! Demonstrating the overlap in terminology. For maps showing the ethnolinguistical diversity in Liberia follow this link. The number of socalled Nar/Moors in Louisiana documentation might be quite exceptional for anywhere else in the Americas. Nar is apparently the Wolof/Senegalese term to refer to Moors, most likely from Mauritania. There have been several mentionings of “Moors” or “North Africans” in West Indian as well as Brazilian slave registers, but far fewer in number. To be sure they are still overall a minority but still noticeably present, even quite a few females. It’s tempting to assume many of them might have arrived as a result of the warfare between Mauritanian Moors and Senegalese Wolof instigated by the British during their brief occupation in the 1770’s of the French slave port Saint Louis near the mouth of the Senegal river (Searing, 1993, p.153). It is often forgotten that despite having a reputation of having been slave raiders both the Moors and the Fula were often victimized themselves as well, as not all of their military campaigns were succesful. For maps and more context see also this page: Sahel Region. This is the third largest region of featured origins according to total number and second when it comes to reported diversity. This area is also likely to be hosting the most distinctive African origins for Louisiana when compared with other parts of the USA. Generally speaking it can be said that Louisiana shares its Upper Guinean and Central African roots to a great degree with especially South Carolina. While its Bight of Biafra and Gold Coast origins will also be similar to other parts of the USA. 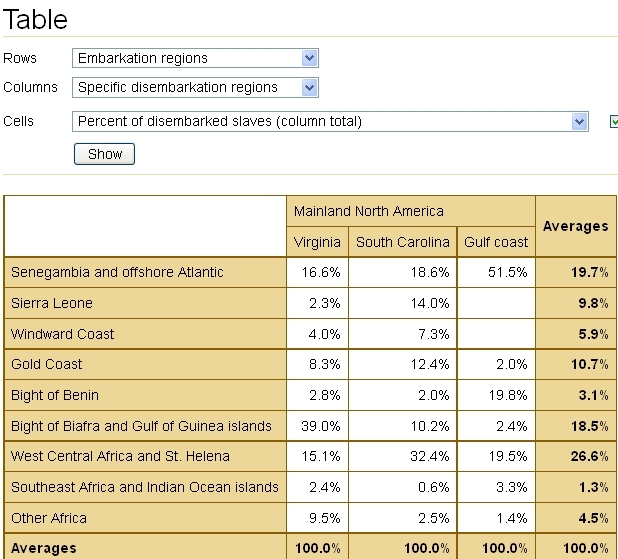 However it is known from documented slave voyages that both Virginia and South Carolina received relatively very few captives from the Bight of Benin, below 3% according to the Trans Atlantic Slave Trade Database (see chart above). While for Louisiana it could be as high as 20%. But that’s not even including the inflow of Haitians in 1809. “African Ethnicities and the meanings of ‘Mina‘” by Gwendolyn Midlo Hall. And also “Ethnicities of Enslaved Africans in the Diaspora: On the Meanings of “Mina” (Again)” . So as far as the Mina would be hailing from Ghana they might actually not be that very much distinct for Louisiana in a USA context. However it’s likely that the Fon, Hausa and Yoruba presence in other parts of the USA was much less significant than for Louisiana. As this pronounced Bight of Benin connection for Louisiana seems to be related to French slave trade patterns also to be observed in Haiti for example. And possibly also because Louisiana continued to illegally import African slaves after 1807 in greater proportion than other USA states. The socalled Chamba make for an interesting casestudy, as they are a bit mysterious. It is thought they represent people from the interior of both the Gold Coast and the Bight of Benin with probably mostly Gur speaking people being involved (see ethnolinguistical maps). The Chamba are not often discussed or “claimed” by people seeking their African roots. However they were quite numerous not only in Louisiana but also in the various Slave Registers for the West Indies and also among the Runaway Slaves from Jamaica (see this Anglo-Caribbean overview for charts). So i would imagine they could also have arrived in considerable numbers in other parts of the USA (Virginia, South Carolina), even when hardly (?) documented. Louisiana’s Bight of Benin origins are also striking because unlike for example Virginia the proportion for Bight of Biafra in documented Trans Atlantic Slave Trade is much smaller than it is for Bight of Benin. However this leaves out of the equation Intercolonial Slave Trade with especially Jamaica, illegal slave smuggling after 1807 and the massive flow of enslaved persons being brought to Louisiana after 1820 through the Domestic Slave Trade with the Upper South and especially Virginia. By these indirect or undocumented routes many Louisianians might still have a great deal of Bight of Biafra and specifically Igbo origins yet. See also this previous blogpost: The Igbo Connection for Virginia & Virginia-Descendants. In fact already in the above overview (which only goes to 1820 and doesn’t specify the African origins of native born slaves) the Igbo presence is quite pronounced, being placed fifth as most frequently mentioned. 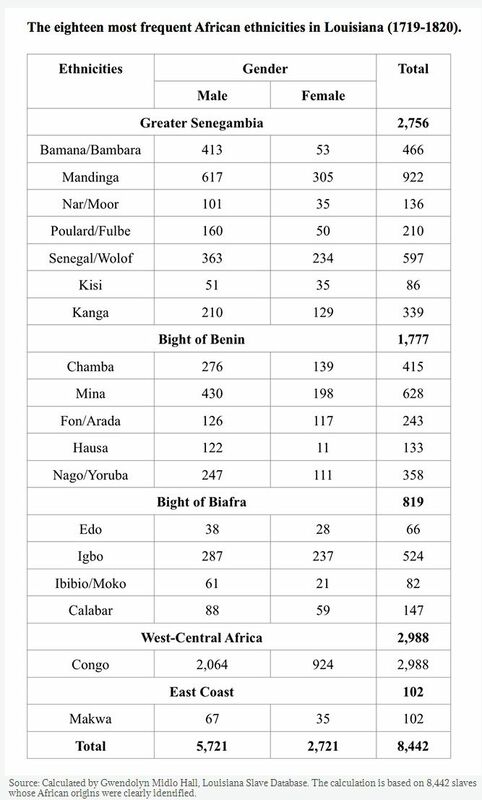 Most of them might indeed have been ethnically Igbo but it’s good to be aware that other ethnic possibilities for Biafran ancestry also exist, even aside from the Ibibio/Moco and the Calabar who also get mentioned along the Igbo. Interestingly Calabar is much more frequently used in the Hispanic Americas as an umbrella term for people from the Bight of Biafra. In Cuba apparently a finer distinction was made as well. 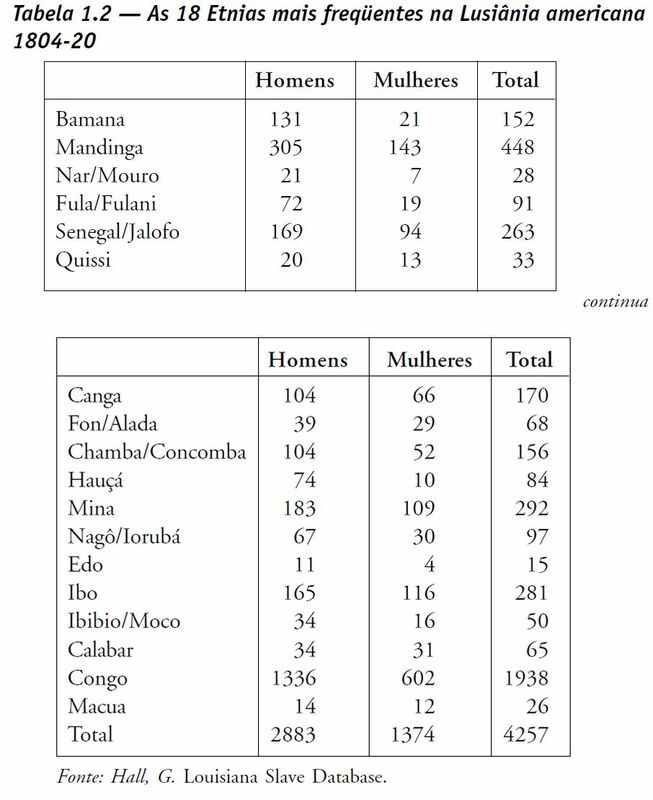 For the Liberated Africans in Havanna no less than 51 Carabali subgroups have been documented! Yet again highlighting the clustering effect and African identies being redefined in the Americas itself. Very intriguing is the notable presence of the Edo people, a.k.a. Bini, who were from the famous Benin Empire in southern Nigeria (not to be confused with the modernday country of Benin which only “borrowed” the name). Hall places them under Bight of Biafra, but i suppose it could also very well be possible they were transshipped via slaveports in Yorubaland along the Bight of Benin. The Edo being located right in the center of southern Nigeria. Compared with the Igbo and the Yoruba, the Edo are rarely mentioned as possible ancestors of the Afro-Diaspora. And in fact there’s apparently also little evidence of their presence in the Americas. Which makes these Louisiana data all the more fascinating. For more details see also Hall (2005, p.105). The socalled Congo’s are by a far stretch the most numerous African group being mentioned in the Louisiana Database, constituting about a third of all ethnic references! A bit higher than expected on basis of Trans Atlantic slave voyages but again that database is far from complete when it comes to Louisiana’s African origins. The significant cultural impact of the Congo’s has been studied by scholars for many years even when the general public might not be fully aware. 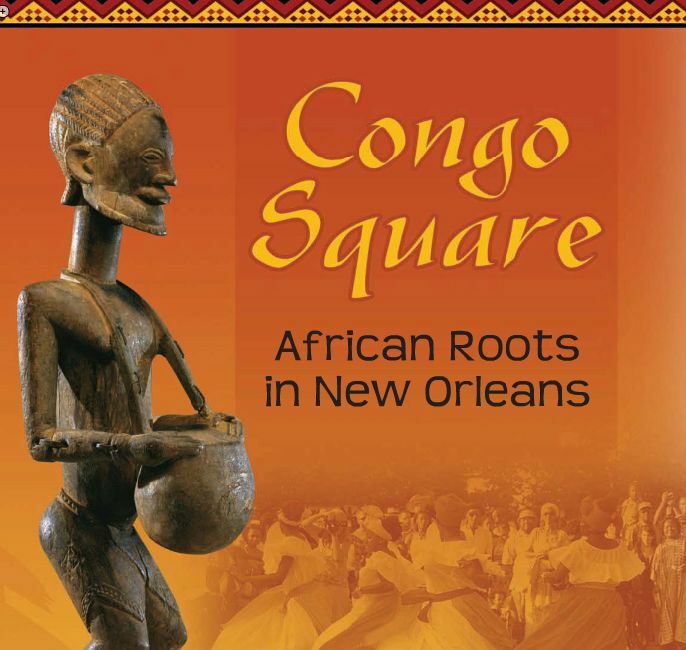 The Congo Square perhaps being of the highest symbolic meaning (see this link for detailed info). But also the trademark dish of Louisiana cuisine, Gumbo, might very well be connected to them as its etymology is considered by many to have derived from a Bantu language. It is quite remarkable that only one single ethnic/regional descriptor was used for all captives hailing from Central Africa. However from other historical sources it’s apparent that the Congo was used as an umbrella term, even when possibly a majority or plurality might have been ethnically Bakongo. See also West-Central African Maps. In fact people of the very same background might very well have been termed “Angolan” in 18th century South Carolina. It’s very telling that in the recently published data on Liberated Africans from Cuba, no less than 129 (!) separate sub-groups were distinguished for the “Congo”. Revealing that they might not have been as homogenous as portrayed. In the next section i will provide more details on the timing and circumstance of their arrivals in Louisiana. Generally speaking they are said to have become increasingly prevalent especially in the late 1700’s and early 1800’s. However already in the early 1700’s their presence has been attested for. This would be referring to Southeast African connections. 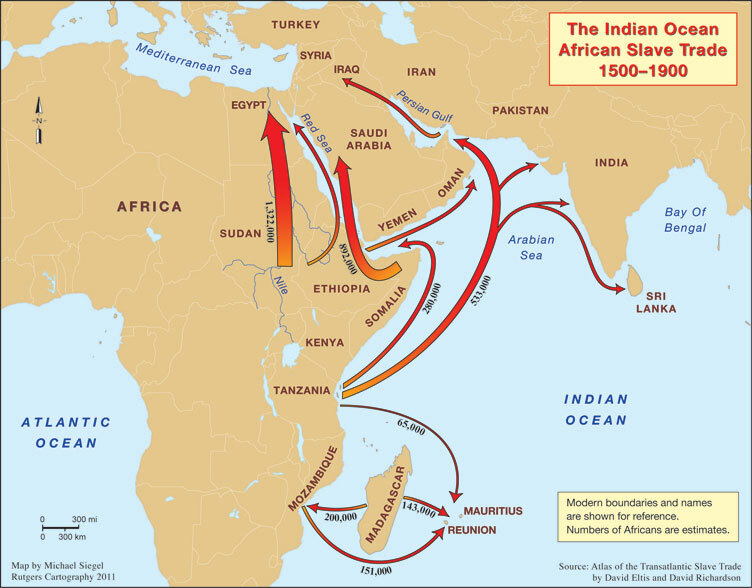 Relatively speaking very minor in overall Trans Atlantic Slave trade because of the distances involved and the far greater pull of Indian Ocean Slave Trade instead. 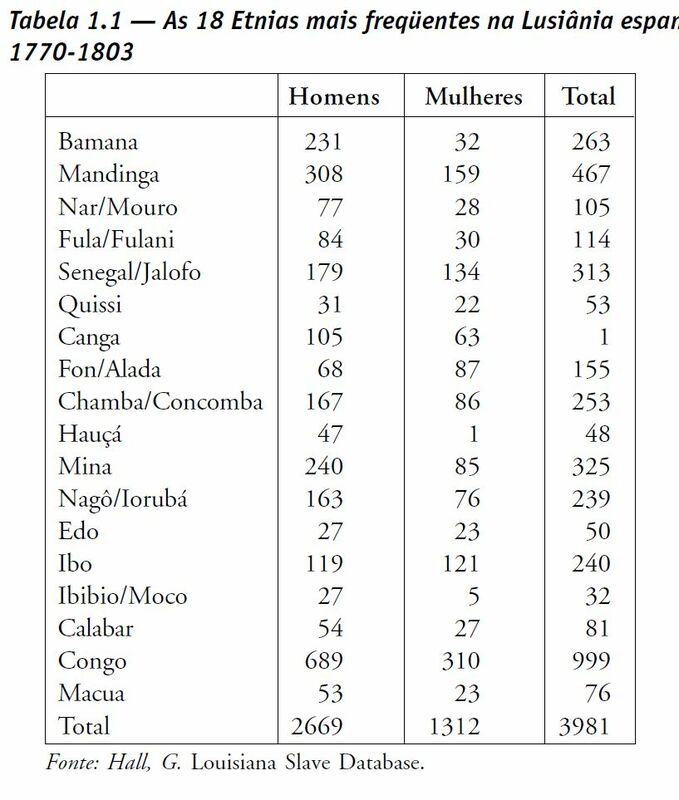 In this Louisiana Slave Database the 102 socalled Makwa, an ethnic group from northern Mozambique, are about 1% of all 8994 ethnically specified Africans, which is pretty much in line with what we know from documented slave voyages. Actually some Mozambicans might also have arrived by way of Haiti. The French having trading relations with Southeast Africa mostly because of their island colonies in the Indian Ocean: Mauritius, Réunion and the Seychelles. It is still very interesting that these Makua people are documented also for Louisiana, even when limited in number they might still have been quite distinct for the USA context. 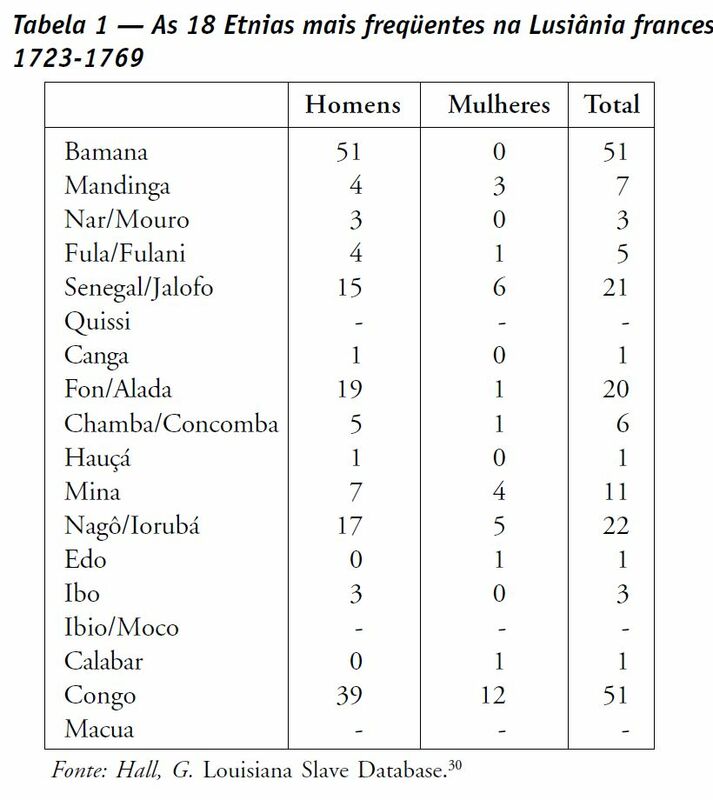 Elsewhere the Southeast African slave trade was also quite minor and more so focussed on Madagascar rather than Mozambique. But especially for Virginia and New York some early founding effects might have made their genetical contributions greater than their initial numbers. In fact due to the Domestic Slave Trade, often ultimately involving Virginia, some Louisianians might also have inherited traces of Malagassy ancestry in addition to their documented Makua origins from Mozambique. American period: at first Intercolonial trade with South Carolina involving reexported Africans, many of them again Congolese but also from the Gold Coast & Sierra Leone; later on a massive inflow of enslaved Americans of hybrid African origin, but possibly with elevated Bight of Biafra ancestry. Also illegal Trans Atlantic Slave Trade which paralleled the one to Cuba in origins. Of course there will be remaining uncertainties about exact proportions and how all these various people might have intermingled over time and gave birth to new generations of locally born Louisianians. The African ethnic origins of American-born slaves as well as Free Blacks and Creoles of mixed-race heritage can usually not be verified by the Louisiana Slave Database. In a follow-up blogpost i will devote more attention to what this may imply specifically for the Senegambian origins of Louisiana. But i find it personally already very insightful that in order to get a full scope on Louisiana’s African origins you should look beyond merely documented Trans Atlantic Slave Trade with Africa and also consider Intercolonial Slave Trade with the West Indies and the Domestic Slave Trade with the Upper South. This goes more so for Louisiana than perhaps any other USA state. Again because of its particular colonial history. To conclude this section it might be a useful exercise to tease out the top 5’s from the charts i posted above. Just to see if they reasonably correspond with the general trends i also described above. Keeping in mind that it’s samplebased data we’re dealing with and especially for the earliest period the samplesize is quite small. Also i suppose it’s possible some individuals might have been doublecounted or appearing in documentation of two overlapping periods. I would say that the top ranking of the Congo is very consistent, surprisingly even for the early French period. The Upper Guinean presence, as measured by the Bambara, Wolof and Mandinga, is also quite steady. But especially the Bambara make a decline relatively speaking, while the Igbo and Mina are on the rise starting from the Spanish period. All in all pretty much in line with what historians have been uncovering about the African origins of Louisiana. I find it striking that the Chamba are positioned third in the more limited overview for only New Orleans. They are probably the least discussed ethnic group but undeservedly so as far as i’m concerned. Afterall the full range of ethnic origins of Louisiana is of value when wanting to Trace African Roots! – Chambers, D. (2008). Slave trade merchants of Spanish New Orleans, 1763–1803 – Clarifying the colonial slave trade to Louisiana in Atlantic perspective. Atlantic Studies: Global Currents, 5, (3), 335-346. – Hall, G. (2005). Slavery and African Ethnicities in the Americas: restoring the Links. – Hall, G. (2005b). Crossing the Atlantic Ocean: African ethnic groups in the Americas. Topoi, 6, (10), 29-70 (available online in Portuguese). – Ingersol, T.N. (1996). The Slave Trade and the Ethnic Diversity of Louisiana’s Slave Community. Louisiana History: The Journal of the Louisiana Historical Association, 37, (2), 133-161. – Searing, J.F. (1993). West African Slavery and Atlantic Commerce: The Senegal River Valley, 1700-1860. This entry was posted in African Americans, Congo, Igbo, Upper Guinea and tagged Gwendolyn Midlo Hall, Louisiana. Bookmark the permalink. I think Louisiana was more representative of the African populations transported to North America (i.e., the states). It also shows that Africans weren’t simply randomly thrown together as some scholars would have people to believe. Thank you so much for sharing this fine work. You’re very welcome! I agree that overall Louisiana’s African make up may not be fundamentally different from other parts of the USA, except maybe a higher relative contribution from the Bight of Benin and also the Senegal river + hinterland. I suspect that the ancestral impact of the domestic slave trade is often underestimated. From the AncestryDNA results i’ve been collecting for people with 4 Louisiana-born grandparents their averages are pretty much in line with other parts of the USA. But there’s some individual outliers, especially higher Mali scores it seems. I will blog about it shortly. My father’s side is predominantly French Creole and my mother is half white and half “black” with her black ancestry coming predominantly from Georgia. On my father’s side, I was able to trace one direct ancestor back to Africa, since he listed his place of birth.